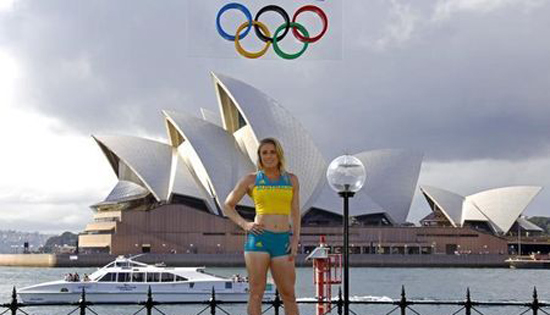 Olympic 100 meters hurdles champion Sally Pearson has clocked an impressive 12.75 seconds in a time trial in her first run-out since shattering her wrist in a fall at a Diamond League meeting last June. The 29-year-old Australian feared her lower left arm might have to be amputated after the injury in Rome and an old Achilles problem further hampered her preparations for her title defense at the Rio de Janeiro Games. Racing at a small local meet on the Gold Coast on Saturday, Pearson produced a time that, while well short of her personal best (12.28), would have been just outside the top 10 recorded in the world this year. "First time over 10 flights of hurdles today in a time trial, I'm happy to announce that I ran 12.75," she posted on Facebook. "I'm so excited to get the first race out of the way and keep moving forward onto the Olympics. Thanks to everyone who has been on the journey with me. After a long 11 months we got there." American Kendra Harrison has clocked the three best times of the year in the high hurdles with the 12.36 she ran in Athens, Georgia in April topping the list.